The motor needs run-up process before it starts to work. You should trample on the board and slide the scooter, then activate the accelerator after the sliding speed is in 3 - 5km/h. 4. The 3mm Allen wrench in package is for fixing the screws in the bar. Want to be notified when the Original Xiaomi M365 Folding Electric Scooter Europe Version gets even cheaper? Make sure you snag the best price by entering your email below. We'll email you when the price drops, free! 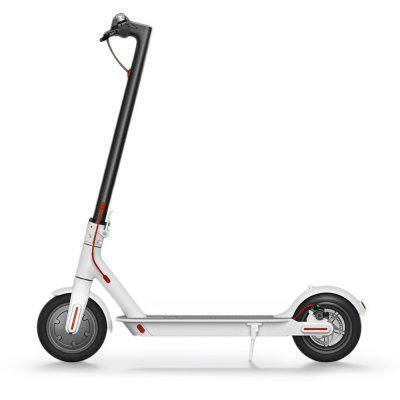 We're tracking the price of the Original Xiaomi M365 Folding Electric Scooter Europe Version every day so you know if that deal is really a steal! Check back for to check the best price for this product - and whether its current sale price is really the cheapest it's been! No Original Xiaomi M365 Folding Electric Scooter Europe Version coupons found!